Lakes: Lake Peipsi, on the Russian border, covers an area of 3,555km2, of which 1,529km2 is in Estonia. It also holds the title as the 4th largest lake in Europe. Rivers: Estonia’s longest rivers are the Võhandu 162km, Pärnu 144km and Põltsamaa 135km. Populations of other cities: Tallinn 448,764, Narva 62,064, Pärnu 40,700, Kohtla-Järve 38,190. Local time: Estonia is in the Eastern European Time Zone (GMT+2hrs). Summer time (GMT+3hrs) is in effect from the last Sunday of March until the last Sunday of October. 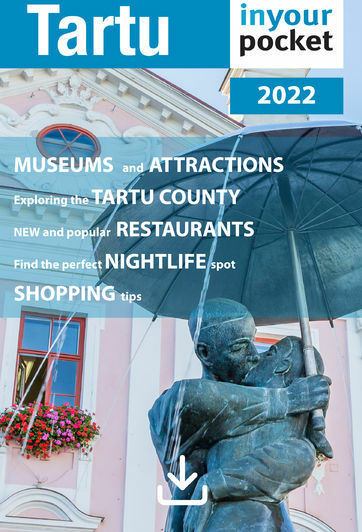 Tartu is 186km from Tallinn and 174km from Pärnu by road. As the crow flies, it’s 137km from Riga, 167km from St. Petersburg, 316km from Stockholm and 658km from Berlin.